The AMC Buyback Spreadsheet is based on the EVE IVY Mining Op worksheet created by Scrapyard Bob. It is used to request a ore/ice/gas "Buy-Back" within the AMC Buy-Back Service and from an FC while running a mining op. This service lets you sell your ore, gas, ice or minerals directly within the AMC Home System and some of the surrounding systems. This service offers you a higher pay out than a new player would get without significant skills and standings. As both get the higher value of mineral cost along with benefits of sell orders in Jita where we sell. Along with the saving of logistics of moving it. The service fee for this service is 2.5% of refined value of ore,ice or gas submitted. Which is automatically put into sheet used so you don’t need to work it out. The AMC Buyback has a recommended minimum of 25,000,000 ISK and a maximum of 5,000,000,000 ISK per personal Buyback contract. 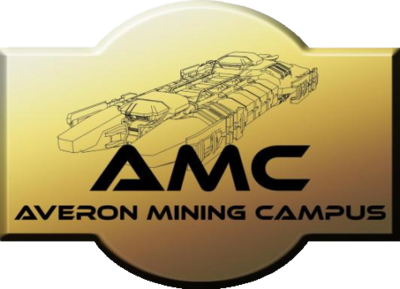 You'll find a brief instruction how to maintain this spreadsheet during a mining op and how you can put in a personal Buyback to the Buyback service of AMC. It's recommended to have the skill Contracting skilled up to Level 1 to process more than one contract at the same time. Log into your google account and go to the current version. Open the file menu and select "Make a Copy"
On the Paste Inventory tab you need to stack your ores and copy and paste to cell A4 what you'd like to add to the Buy-Back. The "Icons" view in your inventory will not work for this. You need to use the "Details" or "List" view. Be sure to select the Inventory tab before continuing. Follow the section Submit the spreadsheet below. While running a mining op the participation of the fleet members needs to be updated in the sheet to provide an overview to the fleet members. Go to the top right of the spreadsheet and click on the "Share" button to open sharing settings. Change it from private to "Anyone with the link can view"
Make sure haulers know what station you want the ore delivered and who to contract the ore to after the op. Keep up with filling in the participation sheet with start and stop times for each participant. You must use a station within 5 jump of home and when possible try to use a station of home corporation. Per AMC policy everyone involved in the op should be 1.00 shared weight no matter their role unless they voluntarily agree to less. On the Inventory or Paste Inventory tab you need to add the amount of ore you mined during the shared Can. On the Inventory tab add amounts of ore to to the column "Amt Mined" (column C). On the Paste Inventory tab you need to stack your ores and copy and paste to cell A4. Add ISK values ExtraISK tab if you had sold any salvage or modules from rats, received a cash donation, or had to pay an external freighter such as Red Frog Freight. Double check that all the participation information is correct and be sure to thank all those who participated in the op. As soon as the Buy-Back is completed and paid out you need to pay the participated fleet members. Open your spreadsheet again and go to the participation tab. Start to pay out the value mentioned in "Payout (ISK)" column to the fleet members and mark the paid members in the "Paid" column. It is recommended to send out a EVE Mail to the fleet members as soon as you've done all after work including the payout. Set contract for 4 weeks expiration, then click finalize contract. Prices were updated and no longer match on contract and spreadsheet. Contract Station is more then 5 jumps away from the AMC Homestation without AMC Officer approval. Exception to 5 jump rule is Dantan and Hoona. Contract is not submitted from NPC station or one of the Ivy League structures. The AMC Buy-Back has a recommended minimum of 25.000.000 ISK and a maximum of 5.000.000.000 ISK per personal Buy-Back contract. While we will accept buybacks from any station within 5 jumps of HQ, we request that any buybacks in home system be done from Shemah-The Ore Question. Only one personal contract per person, per system, per day. If possible please compress the ore/ice beforehand to make it easier for our hauling operations. This page was last modified on 20 April 2019, at 09:41. This page has been accessed 49,339 times.